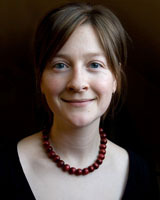 Naomi Carrard is a Research Director at the Institute for Sustainable Futures, specialising in applied research to inform policy and practice in water, sanitation and hygiene (WASH), with a primary focus on the Asia and Pacific regions. Naomi has qualifications in Environmental Law and Geography, and 15 years’ experience working in WASH, water resource management and development effectiveness. Since joining ISF in 2006, Naomi has led and contributed to research in areas of WASH policy and programming, gender equality, civil society role in development, urban infrastructure and climate change adaptation. She has a focus on work that integrates technical, environmental, economic and social aspects of development and resource management. Naomi’s work has been recognised by a Vice-Chancellor’s commendation for exceptional contribution to the work of the University and she played a key role in a study of the cost-effectiveness and sustainability of sanitation options for Can Tho, Vietnam, which was awarded the International Water Association Project Innovation Award for applied research focused on sanitation (2011). Giurco, D., Carrard, N.R. & Inman, M. 2009, Water end-use measurement: a guide to study design, sampling and smart metering technology, 1, VDM Verlag Dr Muller, Germany. Water management in cities is a critical issue for the health and sustainability of urban communities. Collecting accurate data is crucial for delivering effective, integrated approaches to urban water planning. With a focus on residential (rather than commercial or industrial) water use, this guide helps water planners to design and implement effective end-use measurement studies. An improved understanding of where and when water is used in homes, assists with long term planning within water utilities and with the evaluation of water saving programs. The guide is structured to lead the reader through the development of study design and objectives; data requirements and technology selection ? including smart meters; and sample size selection within cost and resource constraints. Included with the guide are a selection of case studies, an extensive list of technology providers and a review of existing water end-use studies. This practical guide will interest water industry planners and policy makers as well as research providers and technology specialists. Financial support for the development of this guide from the Smart Water Fund is gratefully acknowledged. Carrard, N.R. & White, S. 2007, 'Water options for south-eastern Queensland', Issues, vol. 79, no. 2, pp. 31-33. This book explores the different applications of systems thinking used by an interdisciplinary group of WASH researchers and practitioners. Giurco, D., Carrard, N.R., Wang, X., Inman, M. & Nguyen, M. 2008, 'Innovative smart metering technology and its role in end-use measurement', 3rd National Water Efficiency Conference Proceedings, 3rd National Water Efficiency Conference (Water Efficiency 2008), AWA, Surfers Paradise, Australia, p. EFF33. Carrard, N.R. 2005, 'Mainstream or marginal? Transboundary tributaries and the Mekong Agreement', 8th International RiverSymposium - Water and Food Security - Rivers in the Global Context, Brisbane. This review explores the legal and institutional frameworks guiding urban sanitation and hygiene in Bhutan. It was commissioned in April 2012 to inform the Sustainable Sanitation and Hygiene for All in Small Towns (SSH4A in Small Towns) programme being undertaken by SNV Bhutan and the Ministry of Works and Human Settlements (MoWHS). This review is the product of a desktop review and consultations with key informants to assess the policy, legal and institutional arrangements for urban sanitation and hygiene in Bhutan, with a particular focus on situation in smaller urban centres. Carrard, N.R. Institute for Sustainable Futures 2011, The Civil Society WASH Learning Events and Case Studies, pp. 1-46, Sydney, Australia. In February 2007, the Institute for Sustainable Futures (ISF) and Cardno Australia released a Review of Water Supply-Demand Options for South East Queensland (the Review). The Review was submitted to the Senate Rural & Regional Affairs and Transport (RRAT) Committee Inquiry into Additional Water Supplies for South East Queensland. The key finding of the ISF/Cardno Review is that Traveston Crossing Dam will not be useful to provide water security in the current drought and is unnecessary to ensure water security for South East Queensland after the drought and for decades to come. The suite of supply and demand options â excluding Traveston Dam â which are currently being implemented as part of the South East Queensland Regional Water Supply Strategy (SEQRWSS) sufficient to ensure the supply-demand balance to around 2030. For the period 2030-2050, ISF/Cardno suggest a number of enhanced demand management programs that will maintain the supplydemand balance to 2050. The demand management measures suggested by ISF/Cardno are more cost effective than Traveston Dam (in terms of $ per kilolitre) and perform significantly better than Traveston Dam when assessed on social and environmental criteria including greenhouse impact. In the event that a period of water scarcity worse than the current drought occurs, ISF/Cardno propose that a âreadinessâ strategy be adopted whereby water supply projects with relatively short construction and delivery times are planned and approved but only built if and when absolutely necessary to defer a crisis in water supplies. This strategy avoids investing in infrastructure that may not be needed. This represents a lower cost strategy than building capital works pre-emptively. It is important to note that the water supply projects outlined in the ISF/Cardno Review are suggestions of appropriate âreadinessâ options. This independent review aims to assess the Queensland Government's proposed strategy for meeting the long-term water supply-demand balance for South East Queensland, of which the Traveston Crossing scheme is a major and controversial component. The review, conducted by a team from the ISF at the UTS and Cardno, concludes that a diverse portfolio of options can ensure supply security for South East Queensland (SEQ) well into the future, certainly to 2050. Such options include: increasing water supply availability (supply-side options); decreasing the demand for water (demand-side options); and meeting water supply needs during deep droughts (drought response options). A number of the elements of such a portfolio are already being implemented as part of the current Queensland Government strategy. With the extension and addition of low unit cost demand-side options and supply-side drought response readiness options, a clear conclusion of this study is that the proposed dam at Traveston Crossing on the Mary River is neither necessary nor desirable as a part of the portfolio for ensuring supply security to 2050. The increase in supply from this proposed dam will not assist in the short-term during the current severe drought in which water (from savings and supply) is needed over the next two to three years. Planned completion of the Traveston Crossing Dam Stage 1 is in 2012. Additional time will be needed for the dam to fill, which could take an additional two years, resulting in the yield from this source only potentially being available in 2014. Neither is the Traveston Crossing scheme needed for supply-demand balance in the longer term with the suite of other more appropriate drought response measures being implemented by the Queensland Government and strategy being proposed as part of this study. The proposed dam at Traveston Crossing on the Mary River represents a high total cost, high unit cost, high risk and high environmental and social impact option. Carrard, N.R., Miller, F.P., Hirsch, P. & Wyatt, A. Australian Mekong Resource Centre, School of Geosciences, University of Sydney 2005, Drivers for change in water regulatory systems: Setting the scene for development assistance, pp. 1-16, Sydney.